KODAK introduced their new KODAK Cinema Tools app for iOS and Android. It includes essential tools for filmmakers that use celluloid in their projects. The app is free to download. 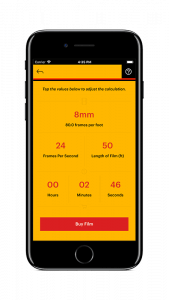 The KODAK Cinema Tools App provides essential film making tools for filmmakers that use celluloid film in their projects. The app features a film calculator and a depth of field calculator designed to simplify ongoing arithmetic. Additionally, the app provides access to an online contact directory and a list of labs to get film processed. 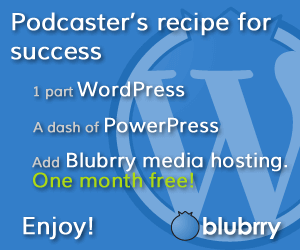 The Film Calculator tool eliminates the need for ongoing arithmetic. Use it to determine run time for any length of film in any format, including Super 8, 16, 35 and 65mm. Film length can be entered in feet or meters. 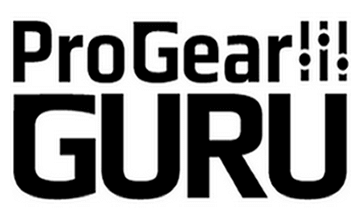 It is easy, accurate, and at your fingertips whether you are on set or on location. The Depth of Field Calculator tool helps you determine the settings you need to get the focus you want. 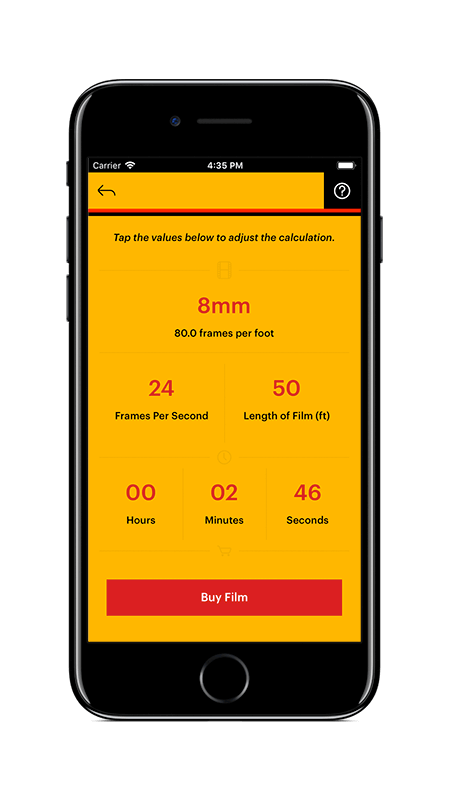 For example, if you are using 35 mm film, and the subject is at 10 feet, your focal length is 50 mm, and your F-stop is 8 this app will calculate your near limit, hyperfocal distance and circle of confusion. Simply enter the values you know into the app and instantly have the answers you need to capture the image you envision. The Depth of Field Calculator is designed to be used with any film format, including Super 8, 16, 35, and 65 mm. F-stops range from F1.4 – F22 with 1/3 stops included.